Underground's finest LEON and Andrea Giudice have joined forces for collaboration EP Cats In Hats on Solardo's esteemed Sola label. Lead EP track Cats In Hats features a funky drumline that weaves amongst punchy 90's style synths and a captivating vocal whilst sudden sirens make for the ultimate club killer. Meanwhile, Machine draws on deeper elements with epic drum rumbles and weighty percussion with a few pleasant surprises along the way demonstrating the LEON and Andrea Giudice are the perfect pairing. LEON has been making a firm impact on the house scene, turning heads of the DJ elite including Loco Dice, Carl Cox, and Marco Carola to name a few. Whilst his compelling DJ sets have earnt him performances at the likes of Amnesia Ibiza, Cielo NY, Space Miami, Fabric London, Rex Paris, DC10 Ibiza & In 2000 whilst securing a residency at Music On in Ibiza. Current highlights of his career so far include two times top 3 on Beatport with his remake of Renegade Master and a collaboration with Dennis Cruz on Crosstown Rebels. 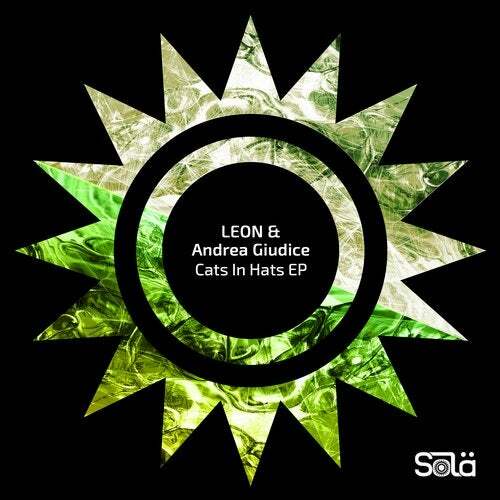 Elsewhere, UK based talent Andrea Giudice has been capturing the attention of many including Loco Dice with his soaring leads, pumping beats and true carnival spirit - it's no wonder LEON an the Sola label have snapped up the producer for the Cats In Hats EP. With a host of releases on respected underground and tech house labels and the continued backing from his peers, 2019 will see Andrea Giudice rise from strength to strength.